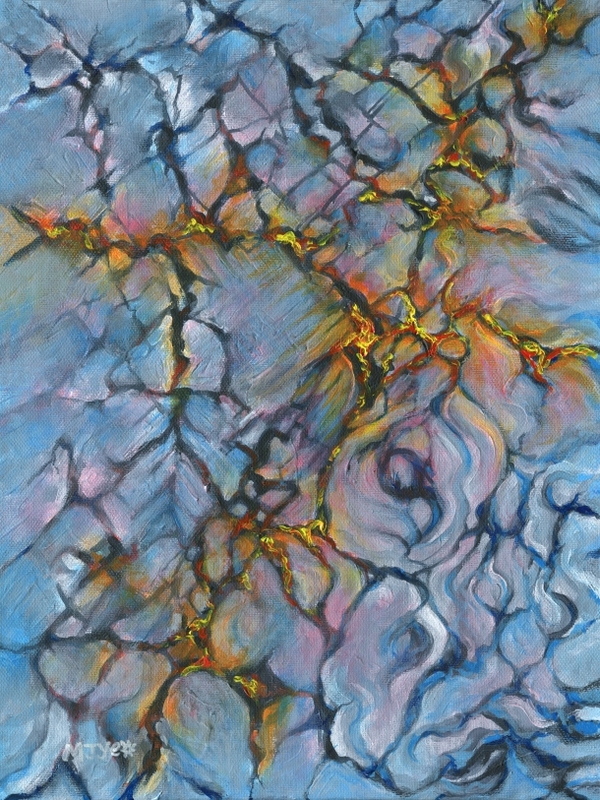 The inspiration for this painting was a photograph I took of a cracked rock near the sea. It seemed to me that nature had created a piece of abstract art with a lovely balance of lines, shapes and colours. I used the photograph as a starting point for the painting but the finished painting doesn't really resemble the photograph. The painting evolved as I had a feeling for different shapes and colours in different areas, and images and symbolisms came in and out of my thoughts. I'm not sure whether the personal thoughts behind abstract paintings should be explained.